Volvox clay paint first application. Well at long last I managed to paint bedroom 2 with the Volvox Clay Paint. Two coats on the ceiling of Mont Blanc white and two coats of Ivory on the walls. Very impressed. Goes on smoothly and dries to a great even coverage. The three of the walls were new plasterboard and one was already painted. When it first went on I thought it was not going to be a good coverage because it is very translucent and much darker than when it dries. 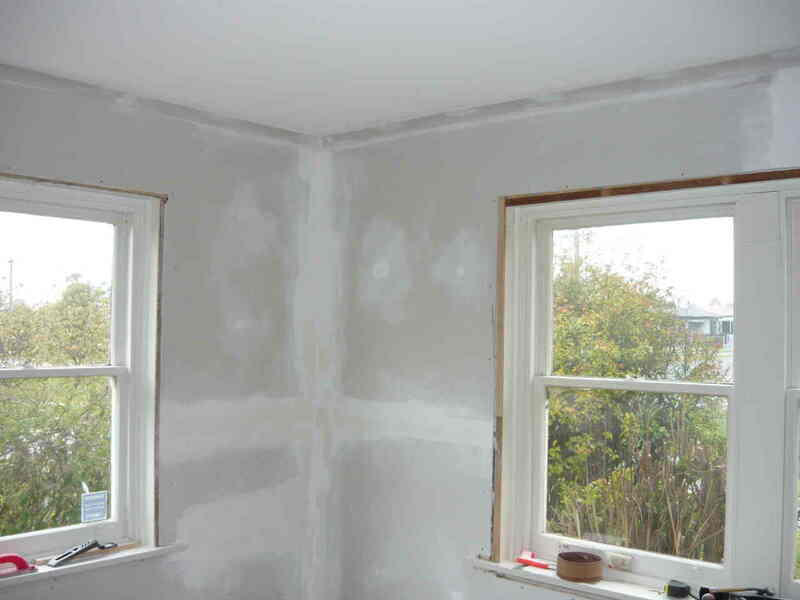 The first coat on the plasterboard was preceded by spraying the wall with water from a hand pump spray bottle. No primer was needed. 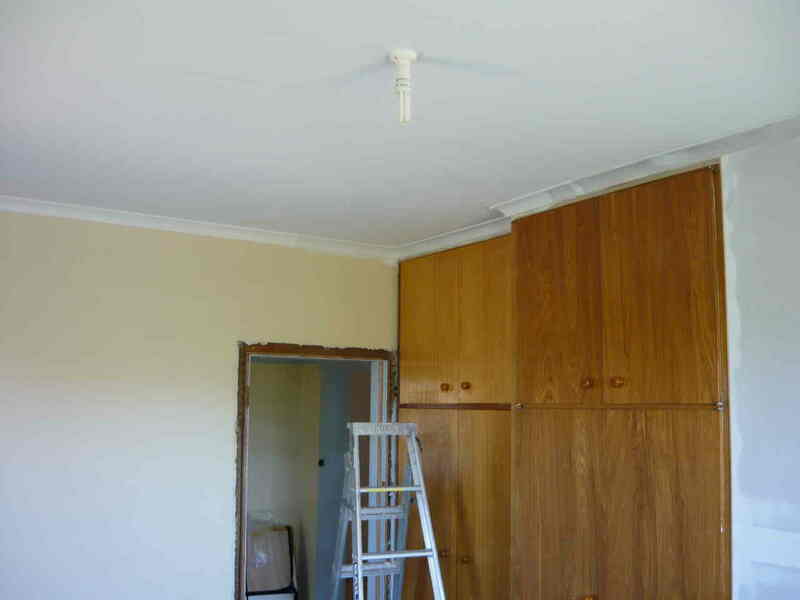 When the first coat dried it was a little patchy but dried the right colour and coated both the plasterboard and the painted wall well. It has a great matt texture and feels just like.. well..clay. After two coats it there was no patchiness at all. Overall it had a coverage rate of about 9 square meters per litre. ← Bedroom 2. 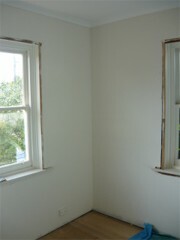 The first room to be renovated ! !